There is one flavor that screams warm weather to me and I love it in desserts. Lemon! Just the color of lemon says sunshine so of course it makes us all think of Spring. 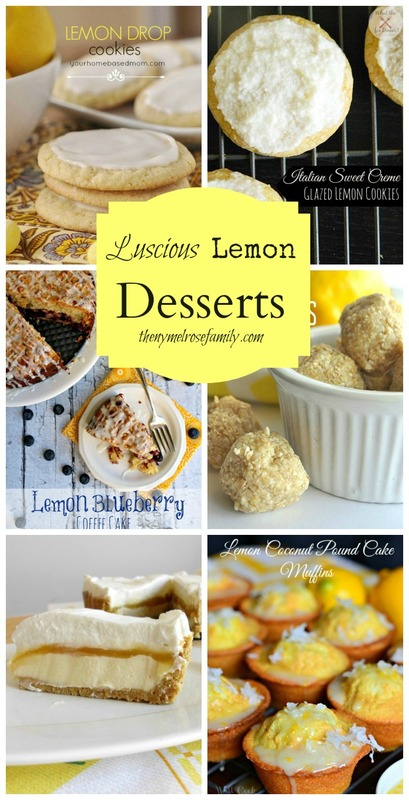 These six Luscious Lemon Desserts are ones that you’re not going to miss so be sure to pin your favorite. What I’m talking about, favorite? You’ll want to pin them all! Enjoy! In order to view the entire collection and pin your favorite just click next. It will take you through all six luscious lemon recipes.